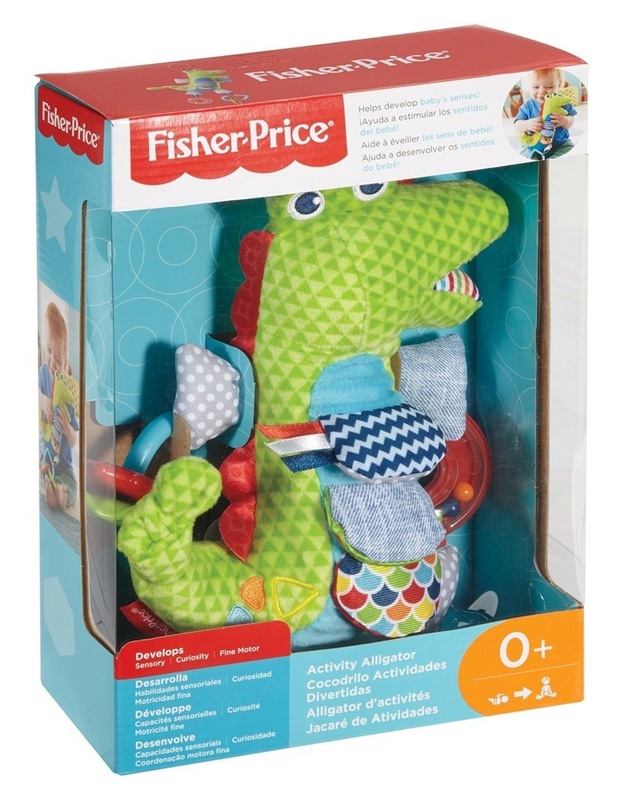 Large soft, friendly alligator character with bright colors, patterns & textures. Tactile elements like crinkle, corduroy & plush engage babys senses. Clack, clack! Rattle, rattle! 2 dangling toys make fun sounds with every bat Link for on-the-go play in a snap! Age: Birth & up.